Our original Zhuzh! 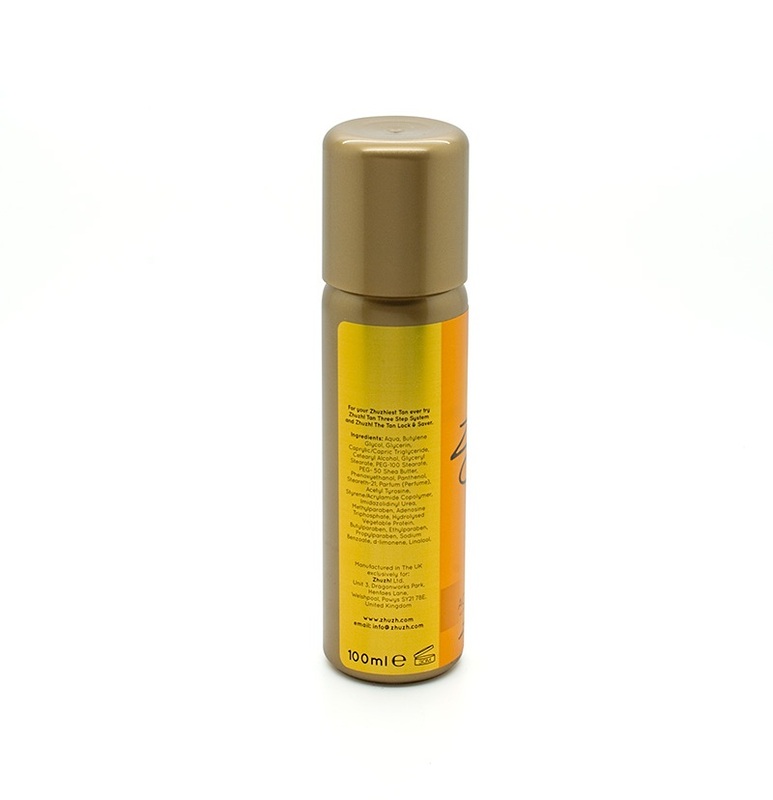 Tan Accelerator in a 100ml handbag or pocket sized bottle, with a sealed, leak-proof spray nozzle. This one has been specifically designed to comply with airline hand luggage regulations. Boosts the natural pigment in your skin to deliver a quicker, more intense, longer lasting tan. Speeding up the tanning process allows you to spend less time in the sun but still achieve maximum results fast. Our unique blend of ingredients works to promote your own natural colour tan whilst keeping it fresh and moisturised. Simply spray on to clean dry skin before and during exposure to the sun – it's as simple as that! Great package and it works ! Good for sunbeds as well as the sun. its easy to apply. Excellent purchase and will purchase more. Love this product. Really boosts the tan in the sun! Have used it for 2 years now and will use again! !